« Say Hello to Healthy! Now Welcoming 6 New Low-Calorie Entrees. Plan a perfect summer outdoor party with our help at Bazaar del Mundo! 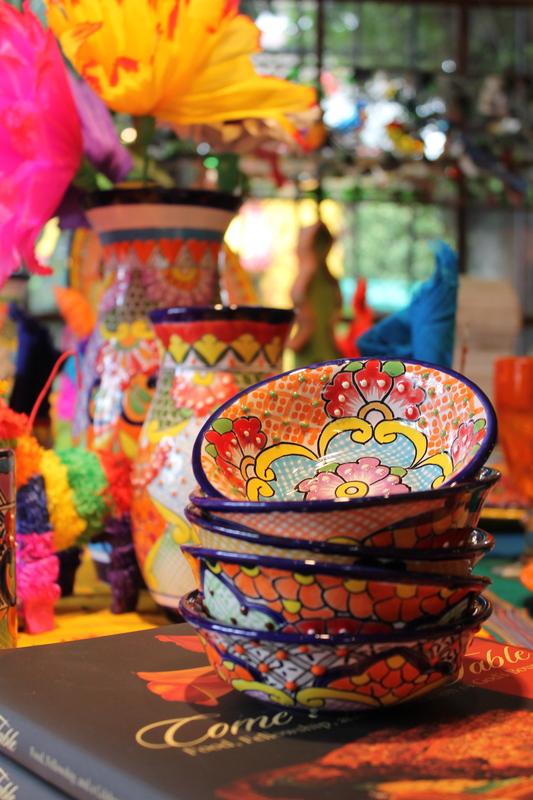 Our Shops have everything you need to transform your backyard into a lively fiesta – from beautiful Talavera dishware, hanging patio lights and traditional Mexican papel picado in bright colors. We also carry festive oilcloth tablecloths that come in fun prints and patterns – they’re perfect for outdoor use and are a must-have for easy clean up. And if you want a real fiesta, you can top off the afternoon or evening by trying a new margarita recipe found in one of our many popular cookbooks. Why not leave the cooking to one of Diane Powers’ fabulous Mexican restaurants? Catering is available at Casa Guadalajara (next door in Old Town), Casa de Pico (La Mesa), Casa de Bandini (Carlsbad) and Casa Sol y Mar (Del Mar Highlands). Choose from a convenient party package, or make your own custom menu. Imagine how impressed your guests will be with fresh guacamole, handmade tortillas, delicious salsas and sauces made fresh daily, beans and rice, and a flavorful entrée! This entry was posted by The Bazaar del Mundo on June 27, 2014 at 6:28 pm, and is filed under Party Planning. Follow any responses to this post through RSS 2.0. You can leave a response or trackback from your own site.